Drones are becoming increasingly widespread in journalism. This should not come as a surprise: as drone and camera tech matures, it becomes not only better but also more affordable. Modern drones can fly higher, faster, are easier to handle, and can carry high-resolution cameras. 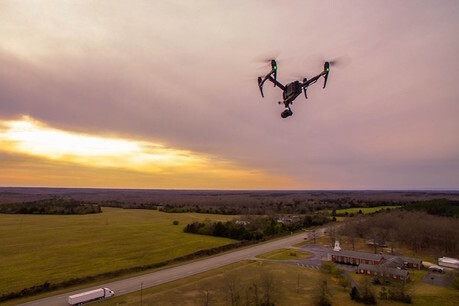 In the hands of a skilled operator, drones are capable of generating breathtaking footage that would otherwise be far beyond the realm of possibility. So, if you purchased a shiny new drone and are eager to put your new toy to use, Johnny Miller, a Code For Africa news fellow specialising in drone photography and journalism, shares his top insights to utilising drones to their full potential. According to Miller, in order to be a good drone journalist, you must be prepared to use your drone sparingly and only when necessary. "There is not a good set of precedents for how drones and drone footage can be legally used, which means operating them sometimes falls into a grey area. Use your intuition. Think of how you would react if you were witnessing someone else flying the drone in the same way," he wrote.